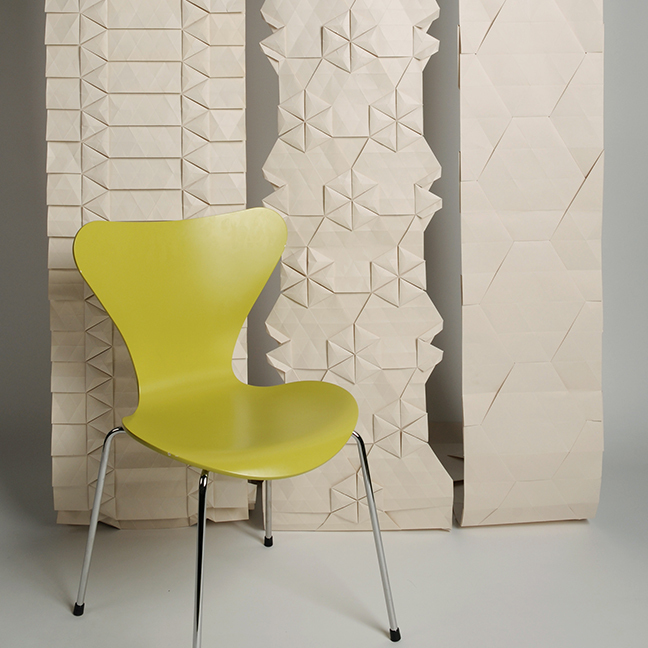 Did you see the Great Interior Design Challenge last night? I’m following with great interest and even have my favourite now. Can’t wait for the final. 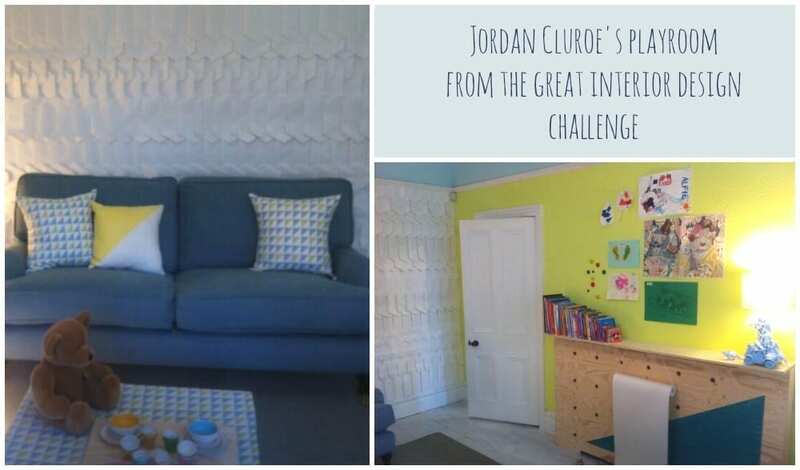 If you’re enjoying the show as much as I am (and don’t forget I’m giving away 5 copies of the book that accompanies the show) how about that amazing handmade origami wallpaper that was featured in Jordan Cluroe’s bright and colourful playroom last night. I thought the overall design was inspiring. 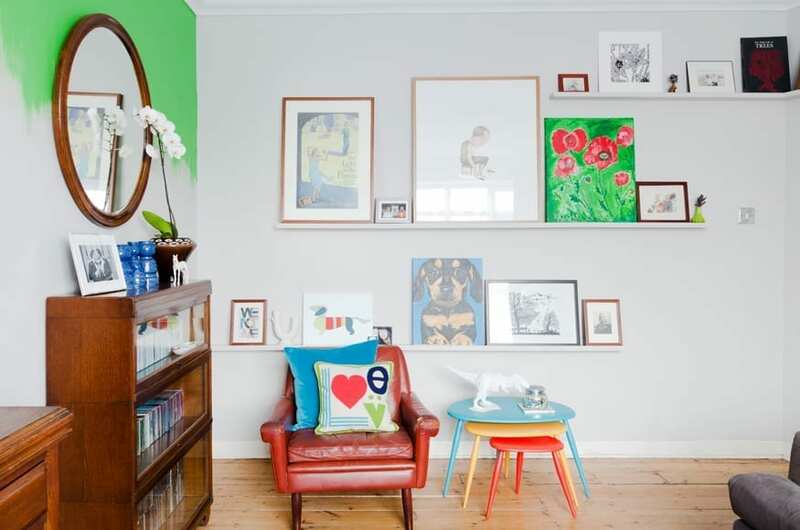 A family room doesn’t have to lack style and interest just because the children will be playing in there, and it doesn’t have to look like a pre-school either. I loved the colour scheme, so bright and vibrant but the one thing that really caught my eye was the wallpaper Jordan used. As you know I’m always on the lookout for creative and unusual wallpaper and this one certainly ticked those boxes. 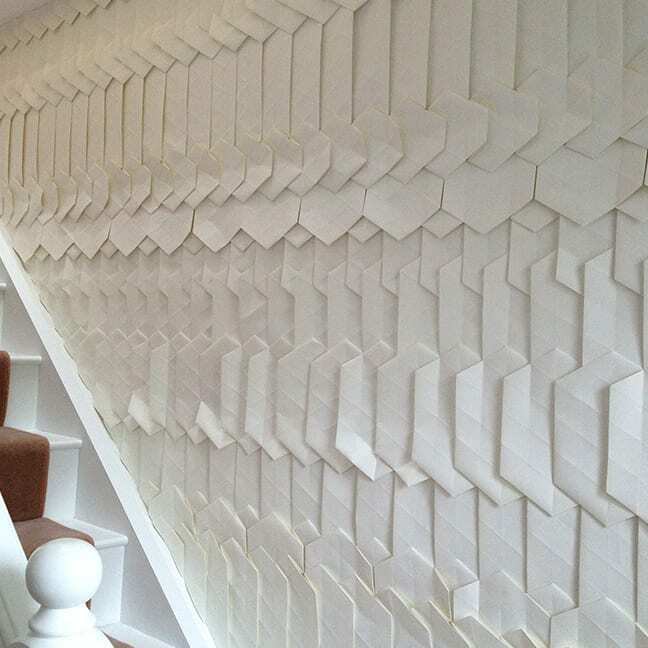 This amazing handmade origami wallpaper is made by designer Tracey Tubb who works on a commission basis from her London based design studios. 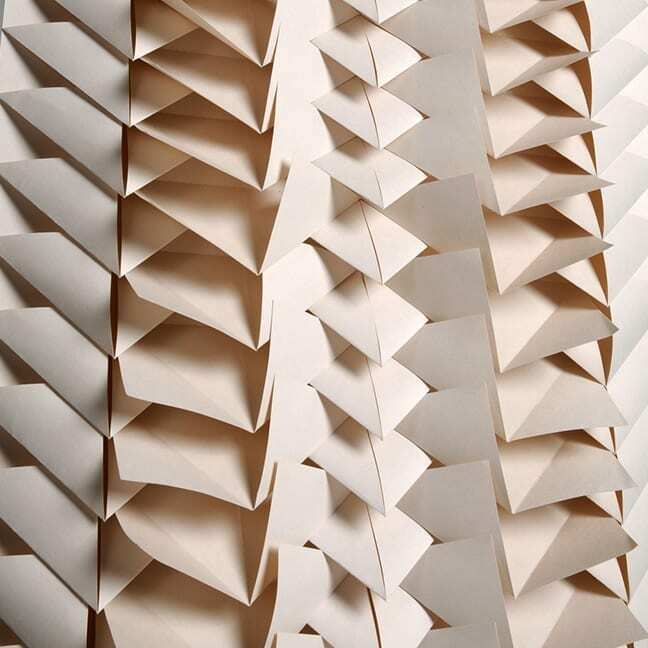 The 3D textured paper is created using pleating and origami folding techniques which Tracey works on with acute attention to detail. What attracted me so much to this whole concept was the fact that both Jordan and the home owners were willing to put this, some might say, impractical wall covering into a room with children. As one of the presenters quite rightly said though, just because you have children and a family home doesn’t mean you have to give up on style and wonderful design. The paper is hard wearing and very durable and I bet the children just loved it. Would you put something like this into your family home? I know I would! wow that is so distinctive! Wonderful wallpaper really i like it and im wondering if i could find once such that in my country ..